are the Claims and Easement Departments. She was appointed to the FSC’s Board in August 2016. In previous years, Ms. Francis has served in the Attorney General’s Chambers of Jamaica, first as Crown Counsel and then as Assistant Attorney General. Ms. Francis has vast years of experience in the areas of corporate and commercial law as well as civil and commercial litigation. 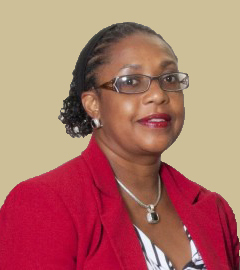 She is a member of the Jamaican Bar Association and a member of its Disciplinary Committee. Ms. Francis is also a member of the New York Bar. She received a Juris Doctor from Fordham Law School, a Legal Education Certificate from the Norman Manley Law School and holds a Master’s Degree in European Literature.